Hilda Hilst (1930–2004) was one of the greatest Brazilian writers of the twentieth century, but her books have languished untranslated, in part because of their formally radical nature. This translation of With My Dog-Eyes brings a crucial work from her oeuvre into English for the first time. A stunning book by a master of the avant-garde. HILDA HILST was born in 1930 in Jaú, Brazil. She was a prolific author whose works span many different genres, including poetry, drama, fiction, and newspaper columns. Born the heiress to a coffee fortune, she abandoned São Paulo and a law career in the 1950s to devote herself to literature, moved to the countryside, and built herself a house, Casa do Sol, where she lived until the end of her life with a rotating cast of friends, lovers, aspiring artists, bohemian poets, and dozens of dogs. She received numerous major literary prizes over the course of her career, including Brazil’s highest honor, the Prêmio Jabuti. She died in 2004, at the age of seventy-three. ADAM MORRIS is a PhD candidate in Latin American literature at Stanford University. 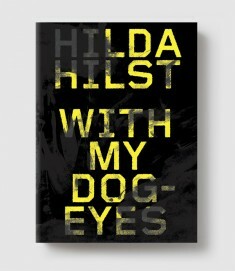 An excerpt from his translation of With My Dog-Eyes won the 2012 Susan Sontag Foundation Prize for Literary Translation.